I vectored Ulquiorra, and here's the vector; ULQUIORRA VECTOR. I used GIMP 2.6 and mouse for this wallpaper. First I cleaned the scan, cut Orihime-chan from the picture, since I'll be using only Ulquiorra. Then I slowly vectored him. I used 9 layers for the vectoring process. 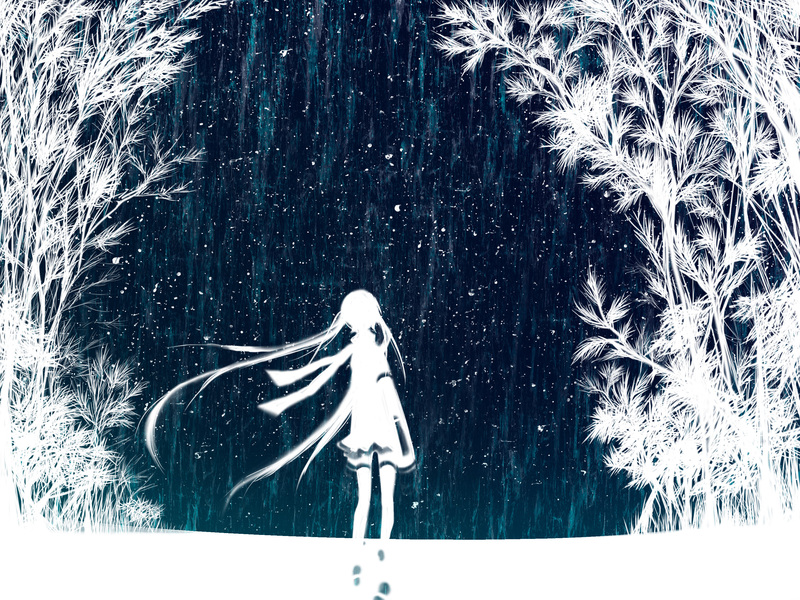 Then I edit the WHITE TREES scan, make Miku disappear from the scan, use some burn tools and edit the color. Since the MOON scan was smaller than I expected, I clear like 80% of the scan and make my own cloud using a bit of 'Blunder brush' from Interhuss Design and also some burn tool (I began to like that tool). Then I combined the BG, edit their contrast and levels. I changed Ulquiorra's color balance, make him looks a bit pale blue before I combined him with the BG. 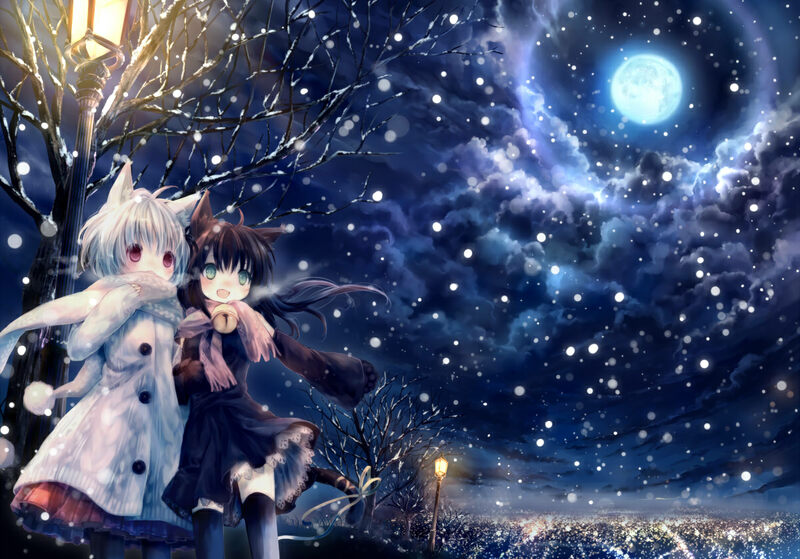 Then I added another layer for the snowflakes and the mist underneath. Ooooo! I like this one! Ulquiorra- kun looks so cool! Is this his released state or something? Anyway awsome wall! Thanks for sharing! awesome picture! Love it love it! wow..nice wallpaper friend...keep up the good work....n thank u for sharing ! 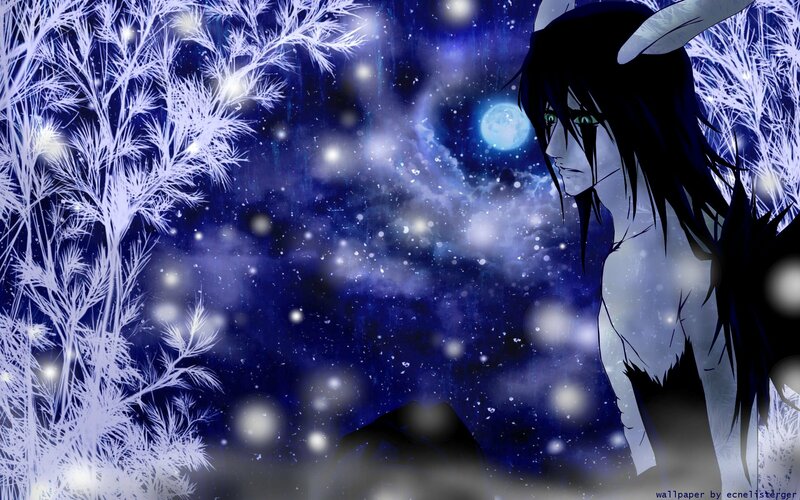 I like the blue/white as well as the melancholic way Ulquiorra looks. Thanks so much for sharing! :) Great wallie!